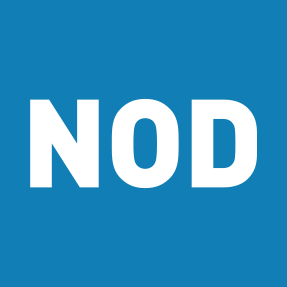 Benchmarks and trends in corporate employment practices aggregated from companies participating in the 2017 Disability Employment Tracker™, NOD’s confidential, annual survey. 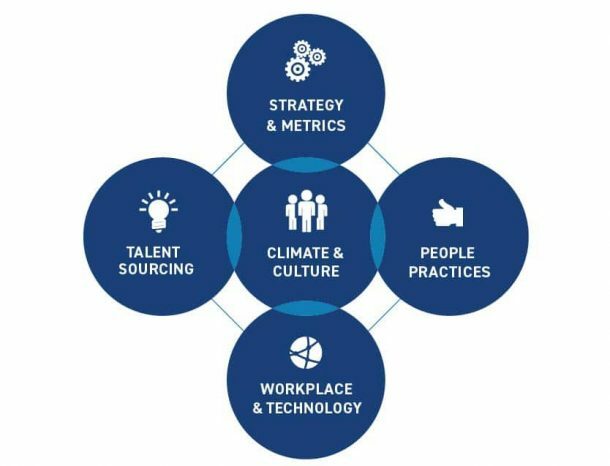 In 2017, the Tracker measured practices and outcomes of 175+ companies—that together employ over 10.1 million workers. The most important disability inclusion driver is getting and keeping talent. Progress is slow: On average, workforce representation of people with disabilities is below the Dept. 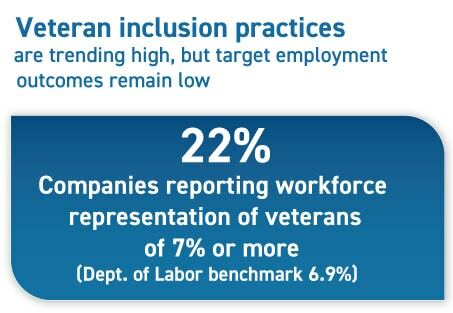 of Labor target of 7%; only 7% of companies have reached that target. 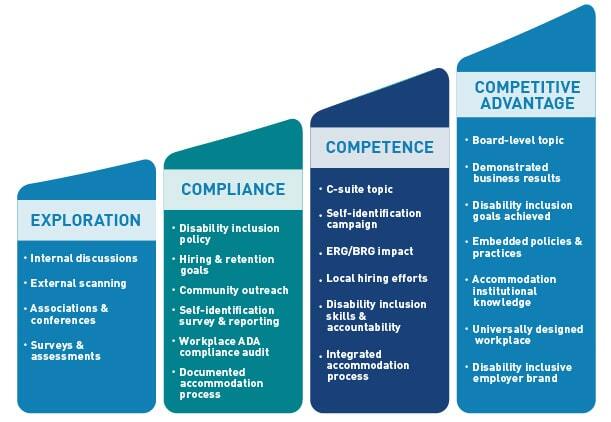 Certain industries are leading the way in adopting disability inclusion best practices. The 2017 performance average of all companies is 62 percent. 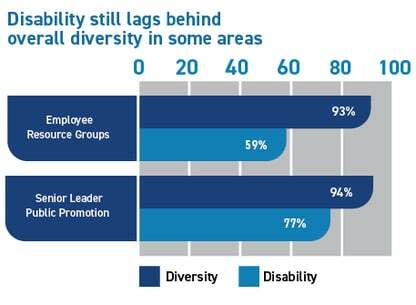 Disability still lags behind overall diversity in some areas, like employee resources groups and public promotion by senior leaders. 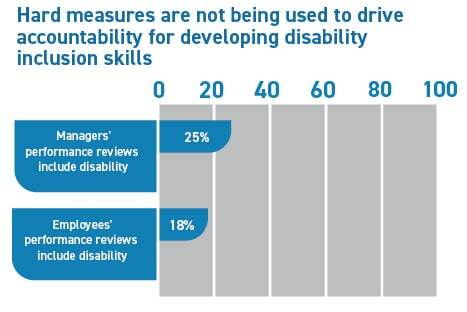 Hard measures, including managers’ and employees’ performance reviews, are not being used to drive accountability for developing disability inclusion skills. 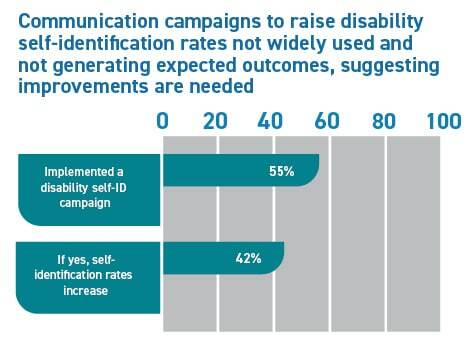 Communication campaigns to raise disability self-identification rates not widely used and not generating expected outcomes, suggesting improvements are needed. 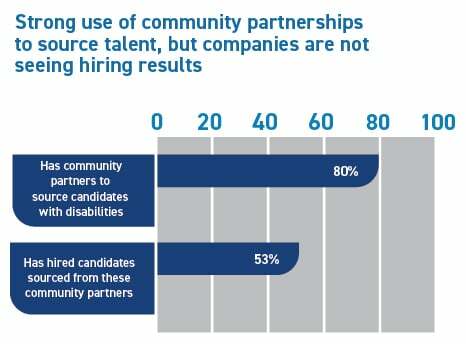 Strong use of community partnerships to source talent with disabilities, but companies are not seeing hiring results. 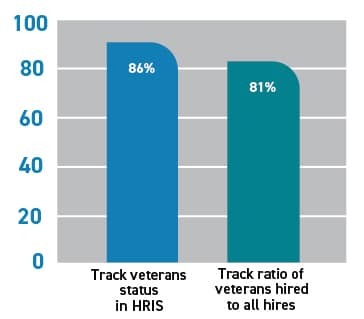 Veteran inclusion practices are trending high, but target employment outcomes remain low.